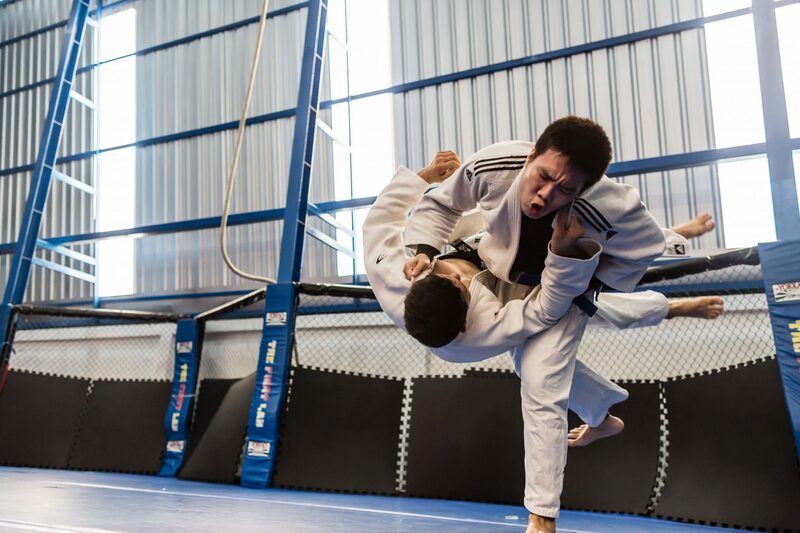 Judo is a competitive sport originating from the Japanese martial art Jujitsu. 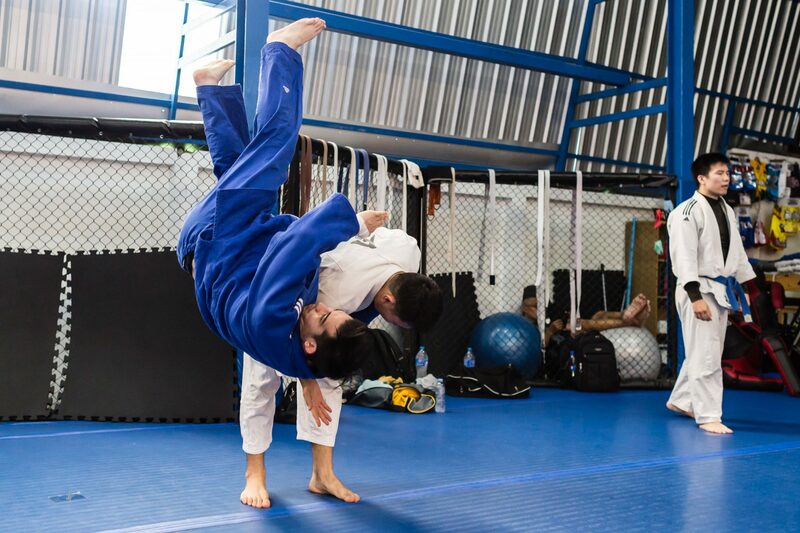 The objective is to either throw or take an opponent to the ground, then immobilize or otherwise subdue with a pin, or force an opponent to submit with a joint lock or a choke. 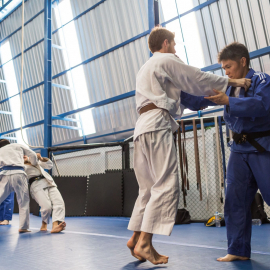 Judo became an Olympic sport in 1964. 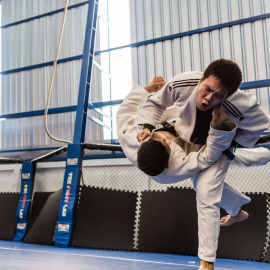 It is a physically demanding and highly regarded sport and many top MMA fighters have a background in Judo at an Olympic level. 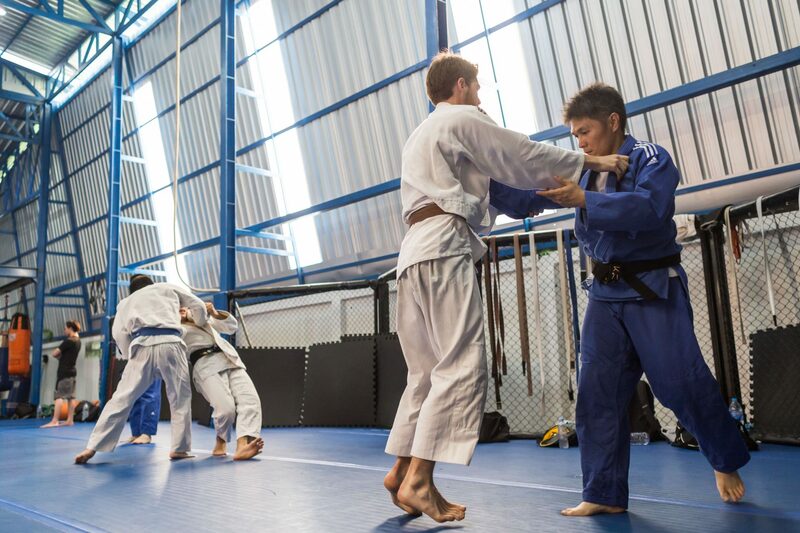 At the moment we do not have Judo classes on our timetable but we have an Open Mat every Saturday where high level Judokas come to train and are happy to show beginners some basic techniques. 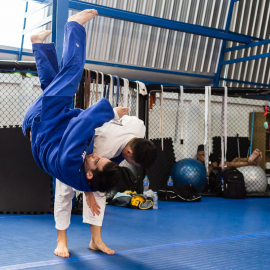 In our Brazilian Jiu Jitsu classes we will also sometimes cover some basic Judo.